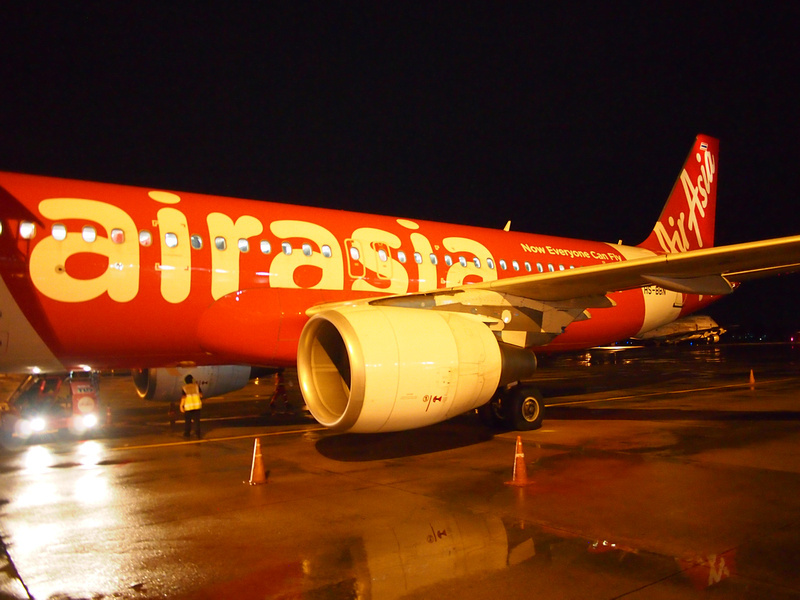 I flew with AirAsia from Hong Kong to Bangkok. I booked it after doing an airfare comparison with Skyscanner. In the end AirAsia had the best price around the time of day I wanted to fly. I like AirAsia (I’ve flown over 50 times with them) but I am not a fan of DMK airport. The last time I was at Don Muang Airport (DMK) it was from Bangkok to Hong Kong with AirAsia. That was an early morning flight, and after that experience I swore not to fly out of DMK so early again. Flights to BKK were hundreds of dollars difference, so there was no consideration to fly there this time. Fortunately flying out of Hong Kong is usually a good experience. I had already checked in online, but I got there a bit early to drop my bag and do some work in the terminal. 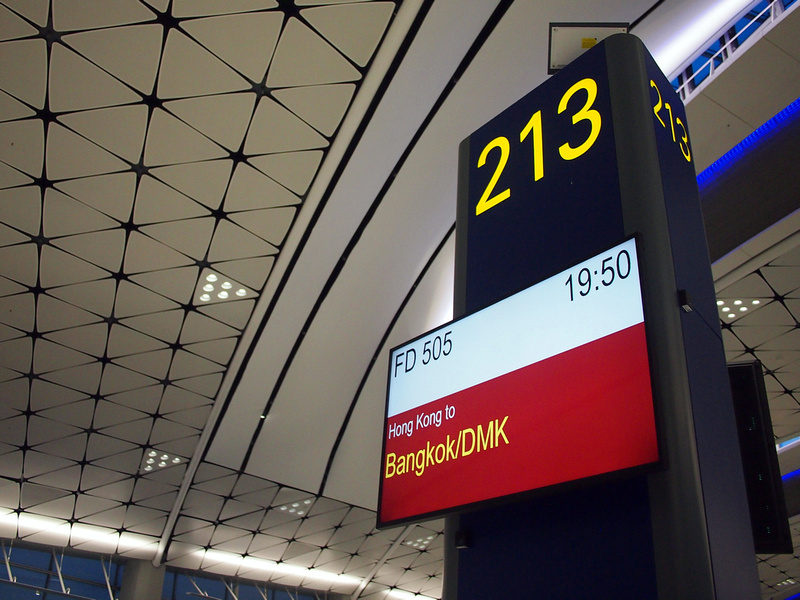 Flying time from Hong Kong to Bangkok is scheduled at 2 hours and 50 minutes. 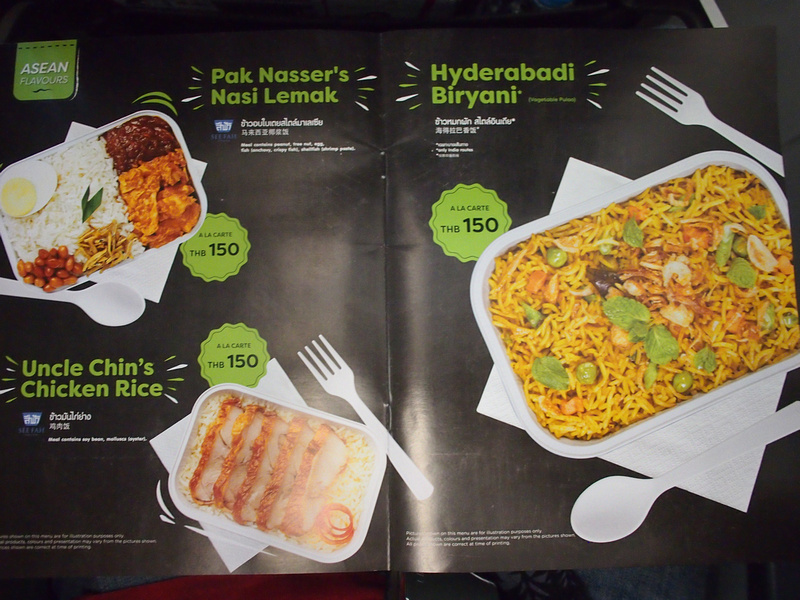 Thailand AirAsia have the regular English inflight magazine along with a Thai version. As a low cost airline there is no free meal service. 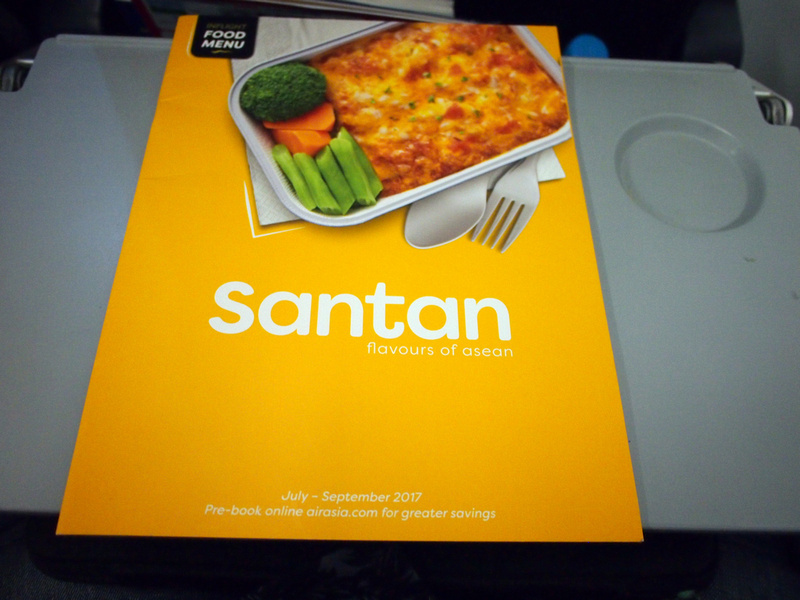 Food and drink are available to purchase onboard, and you can preorder meals at a discount when you book your flight. A standard hot meal is 150 THB ($4.50 USD). 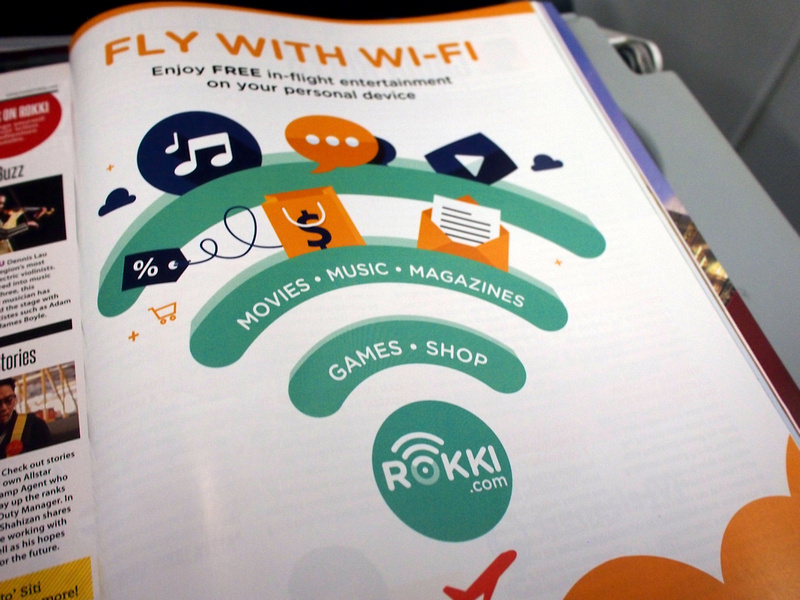 There is wifi onboard available via Rokki. If you use the Rokki app you can access free onboard entertainment on your device. I usually prefer not to fly at night, but in this case I needed to be in Hong Kong during the day so my flight arrived in Bangkok at 9.40pm. DMK-based aircraft are returning back to the airport about now, so we had a tarmac disembark. Once we were off the bus I walked briskly to the immigration line, trying to casually overtake as many people as possible. A quick walk could mean the difference between an extra half hour wait in line. I arrived to the immigration queue and it was absolute mayhem. 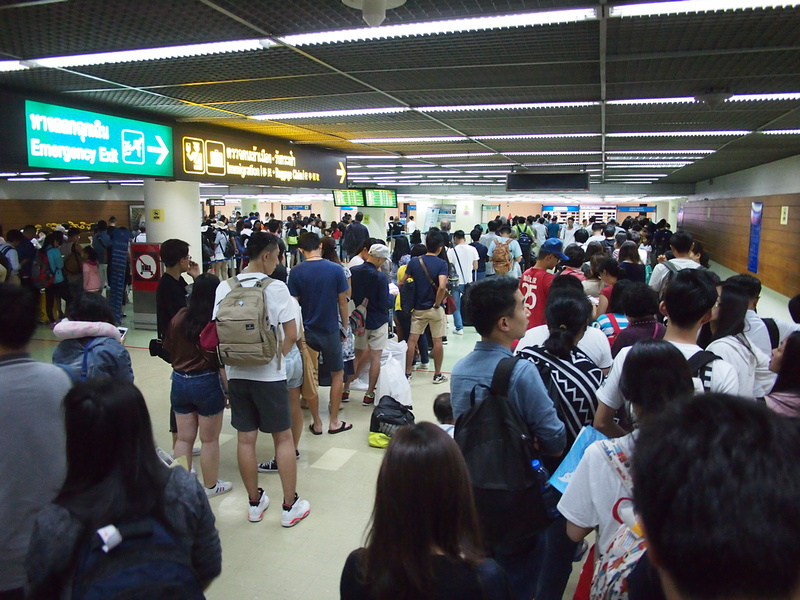 Each immigration counter had an individual line (rather than lining everyone in the same queue) and each line reached the back wall and merged with other lines. I picked a line, and 90 minutes later I finally got my passport stamped. Overall it was a decent flight but soured by a poor airport experience at DMK. 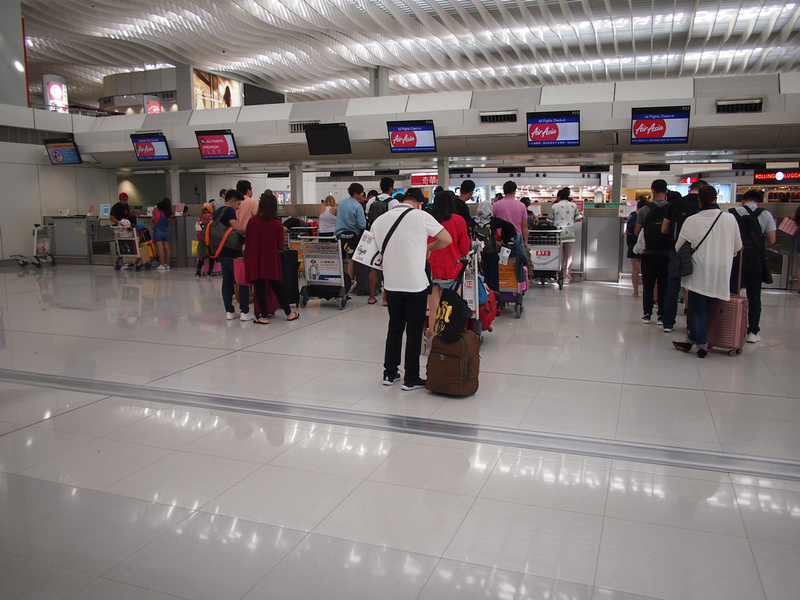 I have flown into Don Muang in the day time and seen no queue, so I don’t know if this is an evening problem, or if traffic is just getting worse.